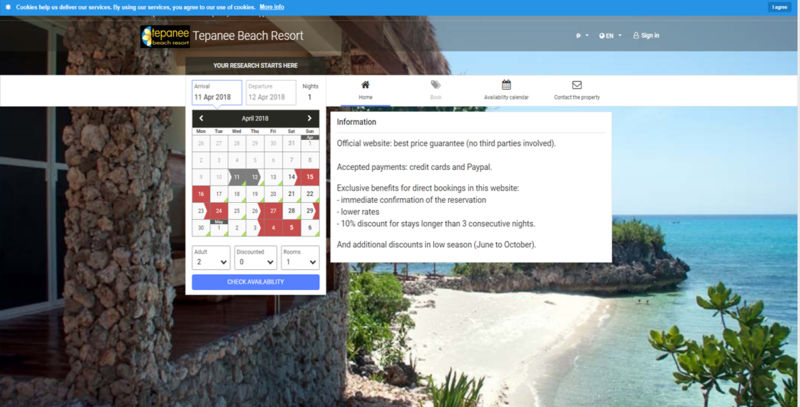 In this section you can directly book accommodation, meals, transfers and other services of Tepanee Beach Resort, paying by credit card or Paypal. Here too it is possible to choose the language of the page among those proposed; in addition, the amounts can be viewed in currencies other than Pesos, the local currency, but Tepanee’s official rates are in Pesos. For any information or need please contact us.